Home Buying or Selling a Home? Chester County PA Real Estate - Exton Real Estate - Malvern Real Estate - Main Line of Philadelphia PA Real Estate. Also Serving Downingtown, Chester Springs, West Chester, Devon, Wayne, Berwyn, Chadds Ford, Collegeville, Newtown Square, Media, Villanova, Philadelphia Main Line Real Estate, Montgomery County Real Estate and Delaware County Real Estate Areas. Congratulations, you are a 2018 Philadelphia Five Star Real Estate Agent! The list of Five Star Professional's outstanding real estate agents in the Philadelphia area has been finalized – congratulations on being part of an exclusive group of fewer than 7% of Five Star Real Estate Agents in the Philadelphia area! This will be featured in the Philadelphia Magazine September issue. This is my 7th year in a row my customers have recognized me with the Five Star Professional Award, Thank You! As a Five Star Professional Real Estate Agent in PA, let me assist you with all your home and real estate needs. Call me direct at 484-459-8007. Bill Gero has the tools, the experience and the know-how to go from For Sale to Sold. Check it out. serving Chester County, Main Line of Philadelphia, Montgomery County & Delaware County. 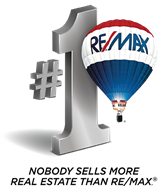 I'm your #1 internet marketing tech-savvy RE/MAX Realtor that can help you buy or sell your home, land or investment property. Full Time RE/MAX Licensed PA Realtor, I provide services for Chester County PA Real Estate, Philadelphia Main Line Real Estate, Delaware County Real Estate & Montgomery County Real Estate. Search & View every Homes for sale in Chester County Pennsylvania real estate listings, Malvern PA real estate, Devon PA real estate, Main Line real estate, Wayne PA, Berwyn PA, Exton PA, Chester Springs PA, Downingtown PA West Chester PA real estate. Whether you are a first time buyer, move-up buyer, corporate employee relocating, downsizing, luxury buyer or seller, or flipping properties, 1031 Tax Exchanges, or an experienced investor, you will find useful information about how to choose the "right" property, making an offer, negotiating, financing, mortgage rates, moving, and everything involved in making an informed real estate decision in today's market. Please feel free to browse through this site to explore the listings in Chester County communities of Exton, Downingtown, Chester Springs, Malvern, West Chester, Devon, Berwyn, Uwchlan township, West Whiteland Township, Tredyffrin Township, Chadds Ford, Collegeville, Media, Philadelphia Main Line and Newtown Square. This comprehensive online tool offers direct access to the latest homes and investment properties for sale in your area. If you currently own a home or investment property and are thinking of listing it for sale, call Bill Gero for a "Free" Competitive Marketing Analysis today! Thank you for visiting www.billgero.com! This is a one-stop real estate website for all your home buying and selling needs in Chester County PA areas of Exton, Malvern, West Chester, Chester Springs, Downingtown, Wayne, Berwyn, Paoli & Phoenixville. I’m a professional REALTOR/real estate agent who will help make your search for a new home & selling your home an enjoyable experience. Please feel free to contact me directly if you have any questions about the Chester County & Main Line of Philadelphia real estate market, or buying or selling a home.